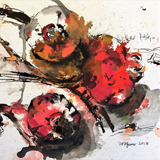 Congratulations to the 2018 L'Atelier winner, Marguerite Kirsten, a fine artist from Cape Town. 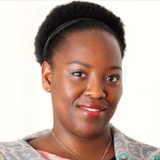 Also a big thumbs-up to the winner of this year's Gerard Sekoto prize, Philiswa Lila. These two exceptional women will spend six and three months respectively at SANAVA' studios in Paris, France next year. Congratulations to Absa who has presented the L'Atelier awards for 33 years, for extending the competition to Nigeria and Namibia. Read more about South Africa's longest running art competition. As promised, we also give you feedback about the colloquium – Art in the time of Africa – presented at the University of Johannesburg recently and supported by Absa. In 1986 Penny Siopis won the first coveted Volkskas Bank Atelier competition with a Baroque banquet inspired painting Melancholia. She was the first artist to take up the artist's residency at the SANAVA studio apartments at the Cité International des Arts in Paris. Read about this remarkable artist in FOCUS On. L'Atelier top 10 with Absa, SANAVA and the French ambassador. Marguerite Kirsten, a fine artist from Cape Town, is the Absa L'Atelier awards winner for 2018. Her compatriot, Philiswa Lila, a fine artist and scholar from the Eastern Cape, walked away with this year's Gerard Sekoto Award. Kirsten won the overall Absa L'Atelier Award for her installation Embodiment. Having grown up, and continuing to live, with various medical conditions, Kirsten feels her body has become an instrument of the medical fraternity. 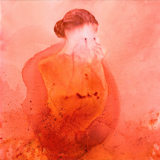 This work, comprising various fluids that represent the ephemeral nature of her body, sought to strengthen and dignify the artist's physical body in the face of this perceived objectification. Lila scooped the Gerard Sekoto Award for Self-Titled, a series of self-portraits related to her name, Philiswa, which means 'be healed'. The artist used her name to explore the nuances of language, meaning and experiences of individualism as recognisable or familiar to collective frameworks of culture, mainly in isiXhosa. The Gerard Sekoto Award for the most promising artist is sponsored by the French Embassy, Alliance Franciase and French Institute. 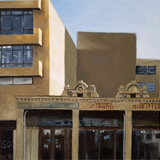 It is only available to a South African artist who has previously entered the L'Atelier Awards and who has demonstrated continual improvement in their art-making. The Absa L'Atelier art competition is jointly sponsored by Absa and the South African National Association for the Visual Arts (SANAVA), and is one of the longest-running visual arts competitions on the African continent. It was established in South Africa 33 years ago, but in recent years has been expanded to include a number of other African countries to reach more young artists. "The L'Atelier Awards embrace emerging artists from our continent. 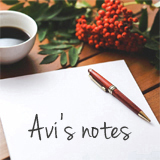 This competition has become the voice and lens through which we experience and access various societies, and has rendered the borders between our country and the rest of Africa porous," said Avitha Sooful, president of SANAVA. 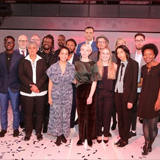 The three merit award winners this year were Gillian Abe of Uganda (Seat of Honour), Henry Obeng of Ghana (Recycle Frame 2) and Kirsten Eksteen of South Africa (Patterns and Pattern Body) respectively. The Absa L'Atelier awards has become a touchstone for the concerns consuming young people on the continent. Works referencing hair styles as a form of expression, identity and a site of contestation were prominent in previous years and remained important to a number of this year's entrants, such as Nonkululeko Sibande, Lebohang Motaung (both from South Africa) and Darlyne Komukama (Uganda). Some artworks offered insights into the particular conditions and contexts from the artists' countries of origin – constant power outages in Lagos, Nigeria, accounted for the unexpected metaphor between electricity generators and religious shrines by Ayo Akinwande, for example. Pressing political issues regarding land ownership in South Africa surfaced in works by Vianca Malan, Mhlonishwa Chiliza, Karla Nixon and Ciara Struwig, while forced removals and land ownership were mirrored in Bya'bazzukulu (For Grandchildren) by Donald Wasswa. Challenging fixed gender roles was again a prominent theme, as seen in the work of Mzoxolo Mayongo and Matimu Lloyd Maluleke. These artworks affirm not only the dominance of socio-political discourse, but the artists' perceptions that contemporary practice is irretrievably tied to addressing them. Absa L'Atelier has been shining a light on promising young African artists' work for over 33 years. Not only do the awards identify bright young talent but they provide a solid foundation for the further growth of these artists' potential, giving them the opportunity to step into the spotlight on the world stage. By highlighting the work of new artists from the African continent, Absa L'Atelier proves that they are committed to taking work from where it may have been unknown, in the dark, and presenting it to a global audience – bringing it to light. This essence reflects the 2019 L'Atelier theme, Give Art Light, which was unveiled at the awards' gala evening on Wednesday, 12 September 2018. Dr Paul Bayliss, Absa Art and Museum Curator, says this idea is also in line with the ethos of Absa's new Africanacity identity. "Bringing to light the best art on the continent, lighting up the careers of artists from all over Africa, putting the spotlight firmly on African artists for more than three decades, and investing in Africa's creative economy for this length of time, all represent the spirit of Africanacity. These are the physical manifestations of the inspirational Africanacity idea in action," he said. This year was the first time that the awards were extended to include Nigeria and Namibia. A total of 12 countries now participate in the competition which, aside from Nigeria and Namibia, include South Africa, Botswana, Ghana, Zambia, Kenya, Uganda, Tanzania, Mauritius, Seychelles and Mozambique. French Ambassador Farnaud presented the annual Gerard Sekoto award to South African artist Philiswa Lila for her work entitled Self-Titled. For the past 15 years the Embassy of France in South Africa, the French Institute of South Africa, the Alliance Française network and the South African National Association for the Visual Arts (SANAVA) have sponsored the Gerard Sekoto award at the annual L'Atelier awards. The award is offered to the most promising South African artist with an income of less than R60 000 per year. South African artist Gerard Sekoto (1913-1993) spent 40 years in France in voluntary exile from apartheid. He was a painter, self-taught pianist, musician and composer. 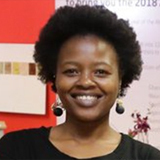 Philiswa will receive French lessons through the Alliance Française, a three-month residency at the Cité International des Arts in Paris and a solo exhibition in the Alliance Française network in South Africa and its partnering galleries. Previous Gerard Sekoto award winners are: Banele Khoza (2017), Matete Motubatse (2016), Natalie Moore (2015), Mbavhalelo Nekhavhambe (2014), Mongezi Ncaphayi (2013), Bambo Sibiya (2012), Isabel Mertz (2011), Bongumenzi Ngobese (2010), Nyaniso Lindi (2009), Retha Ferguson (2008), Nina Barnett (2007), Nomusa Makhubu (2006), Lawrence Lemoana (2005) and Billie Zangewa (2004). Art in the Time of Africa - a post-colonial gaze on contemporary African art practice, criticism, publishing, theory and philosophy of art, within a Pan-African context, was a one-day colloquium presented at the University of Johannesburg recently. It was hosted by the university's Faculty of Arts, Design and Architecture in association with the South African National Association for the Visual Arts and Absa. In line with Absa's constant strive to ensure that L'Atelier contestants receive as much exposure and education in their industry as possible, the top ten contestants, who are from all over Africa, were included in the audience at the colloquium. Conveners Annali Dempsey and Gordon Froud said: "We are excited at the prospect of the colloquium and see it as a necessary and relevant event in relation to our role as art educators and practitioners and timely in terms of post-colonial discourse in the Pan-African context. The timing too was pertinent with regard to the Absa L'Atelier competition and the FNB JoburgArtFair, which took place the week before." Johannesburg-based artist and curator, Usha Seejarim presented 'Impressions of the Dakar Art Biennale as a winner of the Laureate du Prix sculpture award'. She presented a short trajectory of the process that led to the sculptural artwork exhibited at the Dakar Art Biennale and shared insights around what it means to be an artist on the African continent at this point in time. Thoughts reflecting the role of prizes and awards in the career of an artist were discussed. Director of The Showroom, London, Elvira Dyangani Ose took on the topic 'About Being Together'. Ose's theoretical work has focused on the evolution of artists within new forms of environment, in the absence of conventional institutions and contexts within many cities in Africa. The pursuit of common space in the public and private sphere as well as sound and performance of tradition, together make up an affective context that is communal rather than concretely spatial. Ose was the Absa L'Atelier 2018 lead adjudicator, nominated by SANAVA. 'Post-colonialism as reflected in the arts of Africa' was presented by Thabang Monoa, a PhD candidate in Art History at the University of Johannesburg, using the Absa L'Atelier as a starting point. The uniqueness of the Absa L'Atelier presents an opportunity to evaluate and perhaps even renew our understandings of the various, and often, intersecting issues affecting Africa. What is the current state of this postcolony? This presentation examined these issues, some of which are interrogated in certain artworks submitted for this competition, and hopes to attain some illumination on the state of Africa in this post-colonial epoch. 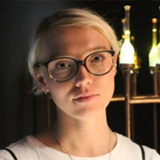 Alicia Knock, Curator – Contemporary Art and Prospective Department, Centre Pompidou, Paris, France, looked at 'Collecting for Africa'. Starting from a chronological survey of the acquisition policy of the Centre Pompidou regarding Africa, including the impact of the two iconic shows Magiciens de la Terre (1989) and Africa Remix (2006), Knock shared her recent involvement in the shift towards a more consistent strategy for African acquisitions. This analysis naturally led her to stress the close links between the acquisition strategy and the exhibition programme she tries to implement, aiming at rooting African works into an inclusive history that challenges the Western modernist paradigm, still widely dominant in the collection. 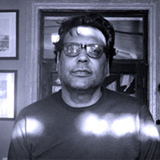 Cultural analyst and writer, Ashraf Jamal's talk examined 'Authorship and the Art Book in Africa'. What does it mean to write on behalf of art? Whom does this enterprise reach? What is the basis for this enterprise – is it designed for a closed market? Does it merely speak to a critical cognoscenti? Who and what is the 'African artist' and 'contemporary African art and culture' on whose behalf the writer writes? 'Platforms of Possibility: The relevance of art competitions in Africa' was explored by Ernestine White-Mefetu, Curator of Contemporary Art: Iziko South African National Gallery. This talk attempted to interrogate the relevance of art competitions on the African continent and to identify the possible short and long-term effects of entering or winning on the artists' personal and professional development. 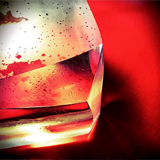 Contemporary glass inspired by the past is an exhibition by Pretoria-based artists working in glass, curated by Lothar Böttcher. The participating artists are Lothar Böttcher, Olwethu de Vos, Gordon Froud, Caitlin Greenberg, Mike Hyam, Martli Jansen van Rensburg, Thabiso Mokaba, Thabang Monoa, Kgotso Pati, Maxi Pretorius, Ian Redelinghuys, Liesl Roos, Nicole Rowe, Mbali Tshabalala, Retief van Wyk, Marileen van Wyk and Berco Wilsenach. Attend the walkabout on Saturday, 6 October 2018 at 10:30 for 11:00. Karin Preller's Stilled Lives II is on at the gallery until Wednesday, 10 October 2018. Every cent collected will go directly towards The Imibala Trust's programmes for less privileged children. 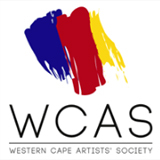 Contact the Western Cape Artists' Society on 021 851 2520, e-mail wcartsoc@gmail.com, www.imibala.com/imibala-trust. These five established artists, each living in their own corner of the universe, have put together this body of work - CORNER OF MY UNIVERSE - which reveals the inspiration in their artistic worlds. Diek Grobler presents a thematically diverse collection of work from narrative paintings in oil to more lyrical work in gouache, which show traces of the animation films he is currently working on. Michèle Nigrini portrays an anatomy of village life. With colour splashes and chance markings she highlights the extraordinary in the ordinary, revealing the essence of the world which surrounds her in Rosendal, and suggesting a new way of interpreting the everyday. 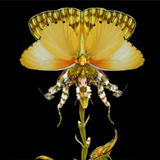 Retha Buitendach offers a glimpse of exceptional new Art-Insects. Organic 'Goggas' that return to life, re-formed from sticks, pods and leaves to transcend biomimicry. She also creates cyber-hybrids which are mutated and spliced from recycled computer parts and scrapyard finds. Helena Groenewald is known for her unconventional application of the scraperboard technique. She lives in Gorredijk, Friesland and her universe is her small garden which she allows to flourish as an eco-system, encouraging weeds and insects to make their home there. Andries Bezuidenhout is making sense of his new corner of the universe in the Eastern Cape. He is most struck by light in his new world – how light falls onto a landscape through clouds, how differently the light there reflects indoors. The exhibition is on until Wednesday, 17 October 2018. 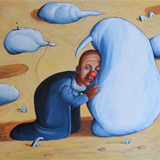 For more information phone the gallery on 012 991 1733, 083 653 6928, rex@tinaskukangallery.co.za. Aspire Art Auctions spearheaded the success of their latest online auction with significant prices for photographic prints by David Goldblatt, which led to strong sales of the selected contemporary artwork on offer. 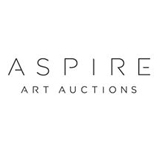 Aspire is finding increased traction for online buying, and for new entrants to the art collection market, who are focused on contemporary art. The sale was led by an exceptionally rare hand-printed photograph by the recently-deceased South African fine art photographer Goldblatt. His print entitled 'Carvings for sale on William Nicol Drive, Bryanston, 3 July 1999' sold for R82 075, almost five times its high estimate. So, the market is budding for online art sales. The Visual Arts Network of South Africa (VANSA) is happy to announce that the Best Practice Guide for Visual Arts in South Africa has been translated into the 11 official languages. There will be workshops across the country to disseminate the translated copies and information. Save the date for VANSA's AGM in Johannesburg on Saturday, 20 October 2018. We'll share further details closer to the time. VANSA Legal Helpdesk offers free legal advice for members. The Legal Helpdesk functions in partnership with Legalese, who responds to legal queries on a weekly basis. The legal advice is offered to VANSA members only, and specifically deals with copyright and intellectual property; contracts, sales and services; and business and organisational structures. For more information call 010 206 9012, email info@vansa.co.za or visit the website. 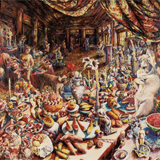 In 1986, Penny Siopis won the first coveted Volkskas Bank Atelier Competition with a Baroque banquet inspired painting Melancholia. She was the first artist to take up the artist's residency at the SANAVA's studio apartments at the Cité International des Arts in Paris. L'Atelier is the longest running art competition in this country and one of Africa's most prestigious. It rewards young visual artists aged 21 to 35 with the opportunity to develop their talents abroad. A look through the list of previous winners will testify to this. The competition was renamed in 1999 to the Absa Atelier Competition, then in 2002 to Absa L'Atelier. In the 80s, works like Melancholia, Siopis' winning painting, quoted grand history paintings and the traditions of still life into overabundant, layered compositions, allegorising the excesses of wealth tilting in to disgust. The famous Patience on a Monument continued this language, but mixed the oil paint with a collage of torn up history books, with the main figure sitting on the accumulated debris of history. These ideas were examined further in her work in the 90s, which often comprised installations of huge amounts of found objects. The cakes and loaded tables have their source in her childhood years. She is of Greek descent and was born in 1953 in Vryburg in the Northern Cape, a little town to which her parents had moved after inheriting a bakery from her maternal grandfather. She studied Fine Arts at Rhodes University and pursued postgraduate studies at Portsmouth Polytechnic in England before taking up a lecturing position at the Natal Technikon in Durban. In 1984 she moved to Johannesburg and lectured in the Department of Fine Arts at the Witwatersrand University (Wits) until she moved to Cape Town. 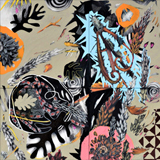 Siopis is foremost a painter, although she frequently works with video and installations. Her work is marked by three interests, the physicality of paint, the accumulation of found objects (including video footage), material memory, and the politics of the body. 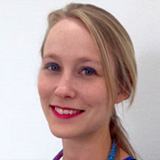 She has also continually engaged with the shifting social and political situations in South Africa. There is a sense of intimacy and personal closeness of experiences in the narratives of Siopis' works, however they do bridge over to a wider global social context and how the viewer relates to the fragility of the subject. Siopis has had a longstanding interest in what she coins 'the poetics of vulnerability'. The juxtaposition of associations, history, femininity, as well as the traces and the repositioning of the past into the now through collective memory are what appear as you submerge into the worlds Siopis creates. Siopis' more recent work seems to engage with the things that are just beyond the limits of representation, the traumas and pains that are present but cannot be said. This manifests itself in a play between form and formlessness in the paint. 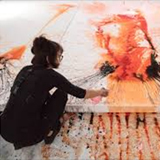 Her paintings from the last several years use ink mixed in white glue to form images on the edge of representation. In 2014/5, Siopis had a major retrospective, Time and Again, at Iziko South African National Gallery and later that year at the Wits Museum of Art. This show surveyed 30 years of her production and was accompanied by a major publication. Siopis is, and has been, a witness and an active resistance participant in the social fabric of the changing South Africa. She uses her experience and life in South Africa, as well as unjust societies, and personal struggle of the real world. Aside from her use of found objects, Siopis is a persistent borrower, making references from Neo-Classic history paintings to Japanese scrolls. She has responded to diverse works of literature from Freud's Three Essays on the Theory Sexuality to Elias Canneti's Crowds and Power. 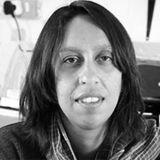 Siopis currently holds the position of Honorary Professor in Fine Arts and is the chairperson of the department's governing committee at Michaelis School of Art at the University of Cape Town. She has exhibited locally and internationally since 1975. She was in several group shows in 2016, some of note are: Films at the Erg Gallery, Brussels; The Quiet Violence Of Dreams, Stevenson Gallery, Cape Town; Incarnations, a solo exhibition at the Institute of Contemporary Art Indian Ocean; The Taipei Biennial, curated by Corinne Diserens, with thematic of Gestures and archives of the present, genealogies of the future: A new lexicon for the biennial; a group exhibition Home Truths: Domestic Interiors in South Africa, curated by Michael Godby, at the Iziko South African National Gallery, which also includes artists Deborah Poynton and Ian Grose; and I Love You Sugar Kane, curated by Zasha Colah, at the Institute of Contemporary Art Indian Ocean, Mauritius. 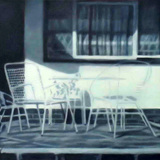 Other notable group shows include Boundary Objects at the Kunsthaus Dresden (2015); After Eden/Après Eden - The Walther Collection at La Maison Rouge, Paris (2015); Public Intimacy: Art and Other Ordinary Acts in South Africa at the Yerba Buena Center for the Arts, San Francisco (2014); Prism: Drawing from 1990-2011, Museum of Contemporary Art, Oslo (2012); Appropriated Landscapes, Walther Collection, Neu-Ulm/ Burlafingen, Germany (2011); PEEKABOO - Current South Africa, Tennis Palace Art Museum, Helsinki (2010); Black Womanhood: Images, Icons and Ideologies of the African Body, Hood Museum, New Hampshire; Davis Museum, Wellesley, Massachusetts, and the San Diego Museum of Art, California (2008), as well as the biennales of Venice (South African Pavilion 2013, and 2003), Sydney (2010), Johannesburg (1995 and 1997), Gwangju (1997) and Havana (1995). Solo exhibitions include Time and Again: A Retrospective Exhibition at the South African National Gallery, Cape Town (2014) and Wits Art Museum, Johannesburg (2015); Red: The iconography of colour in the work of Penny Siopis at the KZNSA Gallery, Durban (2009), and Three Essays on Shame at the Freud Museum, London (2005).